On April 29, the world's frogs are celebrated on Save The Frogs Day. But throughout the year, FIU researchers go into the far corners of the planet to study and protect frogs in their natural environments and commercially managed areas. With more than more than 30 percent of species at risk of extinction, they are trying to predict how frogs will respond to disturbances and find new ways to help them survive. In honor of the world's largest day of amphibian education and conservation, biologist Maureen Donnelly offers insight on why frogs are important and in need of saving. 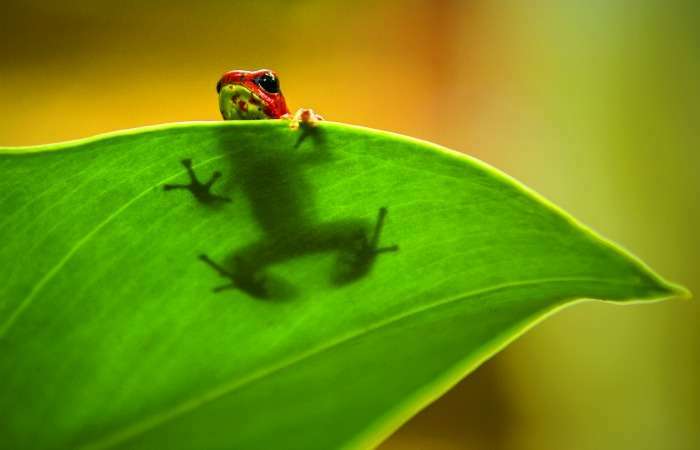 The herpetologist has studied amphibians and reptiles in Central and South America for decades. 1. They play an important role in the food chain. Throughout their lifecycles, frogs have an important place in the food chain as both predators and prey. As tadpoles, they eat algae, helping regulate blooms and reducing the chances of algal contamination. Frogs are an important source of food for a variety of animals, including birds, fish, monkeys and snakes. The disappearance of frogs can disturb an intricate food web with cascading effects felt throughout an entire ecosystem. 2. They are an indicator species. Frogs need suitable land and freshwater habitats in order to survive. They also have highly permeable skin that can easily absorb bacteria, chemicals and other toxins. These traits make them susceptible to changes in the environment and great indicators of their environment's health. 3. They keep insect populations at bay. Did we mention frogs eat insects? These include pesky bugs most people don't want to deal with, as well as adult mosquitoes and their larvae that can transmit diseases including Dengue fever, Malaria, West Nile fever and Zika. 4. Frogs are important in research. Frogs have served as experimental animals throughout the history of science. They are used to understand biological phenomena in a variety of other animals, including how birds, mammals and reptiles reproduce, grow and develop. In the 1920s, the African clawed frog was used to determine if a woman is pregnant. After being injected with urine, if the frog produced eggs within 24 hours, the woman was pregnant. For Donnelly, frogs have afforded her a lifetime of discovery and opportunities to learn. 5. Frogs are nature's pharmacy. Epibatidine, a painkiller 200 times more potent than morphine, is made by some poison dart frogs. Unfortunately, people can't safely ingest it because it's so toxic. But because frog toxins are so diverse, they are being researched for their potential as therapeutic drugs. Frogs have existed for nearly 300 million years, but they are threatened by disease, pollution, habitat loss, invasive species and climate change. Their populations have declined dramatically since the 1950s, and it is believed more than 120 species have already become extinct since 1980s. For Donnelly, a world without frogs—and its cascading effects on people, animals and the environment—is one she does not want to know. "Conservation must be a global team effort," she said. "We are the stewards of the planet and are responsible for all living creatures," she said. We should never have to justify why biodiversity matters." The greatest killer of frogs by far is the infectious disease chytridiomycosis caused by a fungus. So far no one knows why it affects only some frog populations exposed to the fungus and not others. No one knows how to stop it. Pollutants and environmental degradation negatively impact frogs but these are largely problems in poor countries. Environmental protections in wealthy countries mitigate the damage.